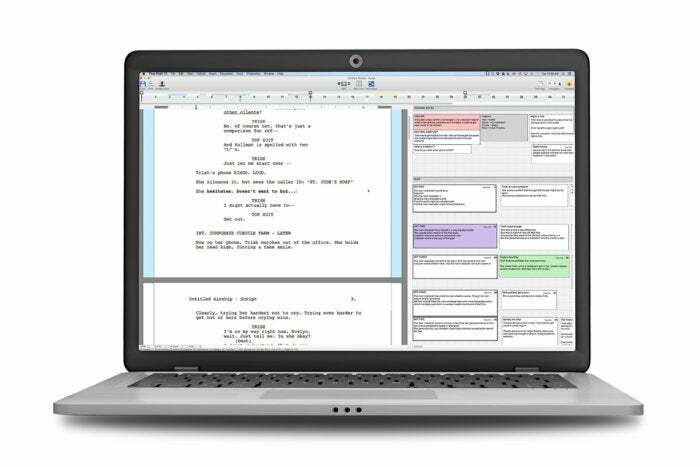 With more than 100 templates specifically tailored for stage and screen, Final Draft 10 is the leading screenwriting software used in film and television productions. For moviegoers, the cinematic experience begins with buying a ticket at the box office. But for filmmakers, it’s a story that was years in the making—a communal voyage that began with a writer extracting ideas from their head and turning them into descriptive words and colorful dialogue that would act as a blueprint for the entire production. 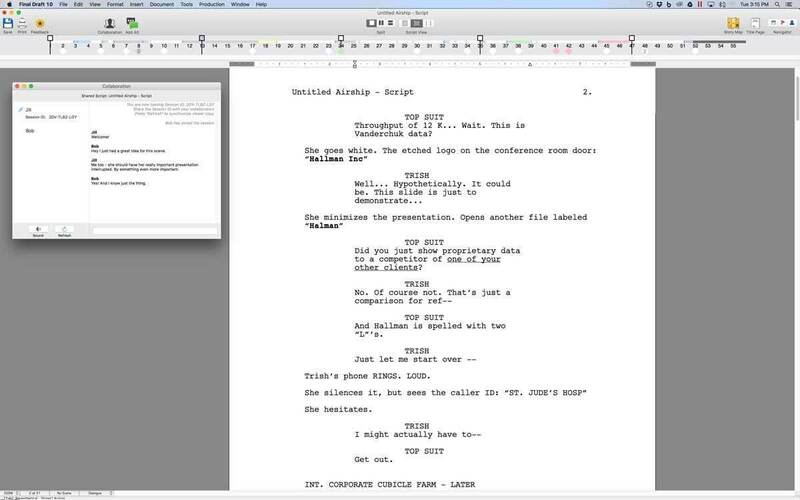 Since 1991, Final Draft has been the word processor of choice for most screenwriters. The software is now in use by a large majority of film and television productions, and with good reason: It not only eases the burden of formatting scripts to the rigid standards of Hollywood studios, but introduces new ways to visualize ideas. Celebrating a silver anniversary in 2016, Final Draft 10 ($250) comes on the heels of a modest version 9.0 over two years ago, a release designed to address glaring oversights like watermark and revision color options with PDF exports, as well as Retina Display support. The biggest improvement was a redesigned navigator that made it easier to browse scenes, ScriptNotes, or characters. Final Draft 10’s Story Map adds a visual representation of where scenes fall across the entire page count for quickly navigating a script. By comparison, Final Draft 10 offers six marquee features, most of which make it easier to keep tabs on the direction your story is heading. Beat Board is designed to help brainstorm ideas prior to committing them to virtual paper, allowing writers to rearrange the progression of beats in a story without a lot of old-school cut and paste. 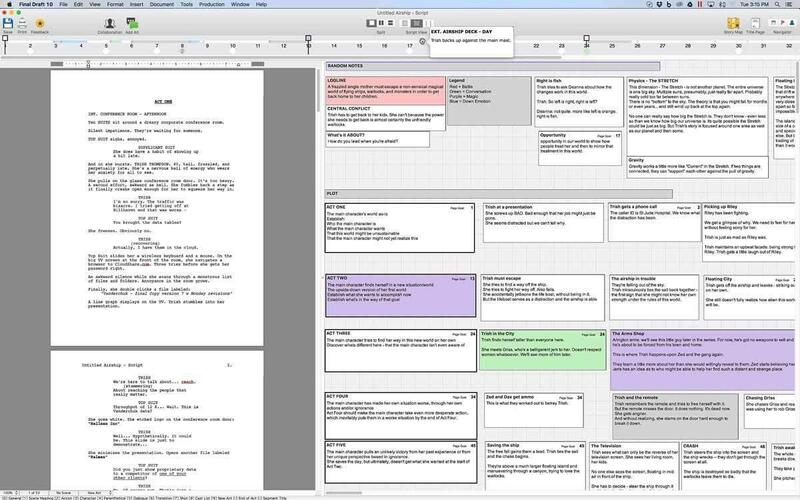 Story Map provides a high-level view of scenes as they’re being written. Enabling this feature adds a horizontal grid sandwiched between the toolbar and page ruler, with grey markers denoting where scenes are located across the entire page count. Hovering the mouse over a marker displays a small pop-up preview; double-clicking jumps directly to that scene. You can also plan backwards by setting the target length for a script, which helps establish where acts and key plot points should take place. Beat Board entries appear as diamond-shaped markers on Story Map, alongside another new feature called Structure Points. Those are virtual thumbtacks to help chart a character’s emotions or keep track of where the overall narrative is heading. Collectively, it’s a powerful trio of features designed to help writers keep their story moving in the right direction. 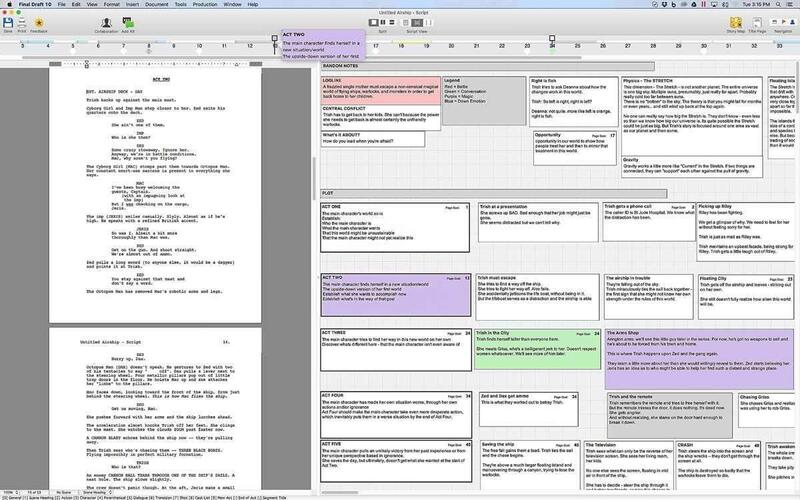 Beat Board provides a visual way to lay out key plot points, which can then be used to keep your screenwriting on track. Final Draft 10 introduces an improved way for two or more writing partners across town or halfway around the globe to collaborate on a script in real time. This requires the host to first share a Session ID number with colleagues, who then use their own copy of Final Draft 10 to join in. By default, collaborators are restricted from making changes to a script until the host gives them permission to join in the fun. It’s a huge improvement over the half-hearted collaboration tools in earlier versions. 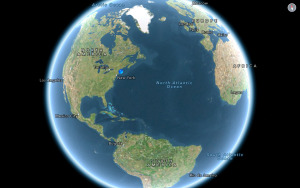 At last, true real-time collaboration arrives with Final Draft 10, even if your co-writers are halfway around the world. Although not lofty enough to gain marquee status, the smaller improvements make a bigger impact in your daily workflow. My favorite allows you to save alternate lines of dialogue inside the same script file, great for writers who want to play with a few variations before committing to just one. Once added, you can easily cycle through alternates without cluttering up the formatting. Should you be fortunate enough to get a script into production, scene numbers have also been overhauled in Final Draft 10, with more robust numbering schemes and the ability to number from the current scene. Finally, file names can be automatically added to headers or footers, and bold text styling is now an option in the revision menu. Structure Points are pins that can be added while in Beat Board or Story Map modes as a visual reference where acts or other key plot points should take place. These enhancements add up to a worthwhile update (downloadable upgrades are $100), especially for those who skipped the previous version. As a proud Magic Trackpad owner, there is one thing still on my wish list: Gesture support, such as pinching to zoom in or out of a page like Microsoft Word already does. Also, full-screen implementation remains awkward, with the Navigator window stubbornly hovering over the main window and no way to temporarily merge both windows in one harmonious union. 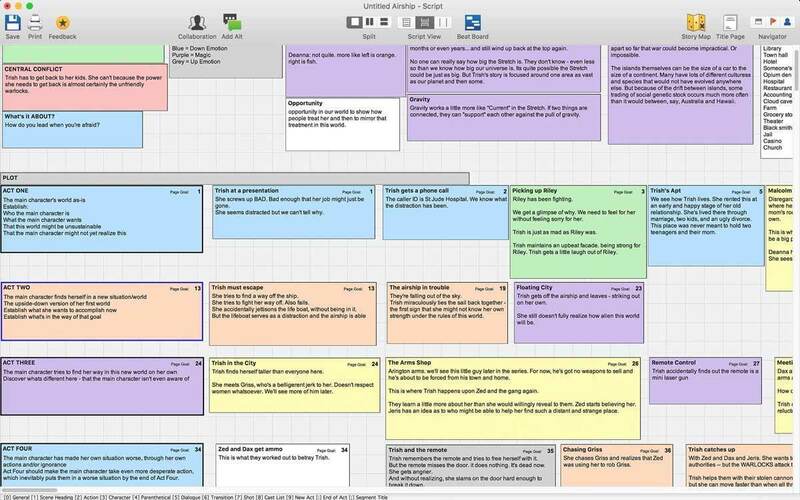 Final Draft 10 introduces several legitimately cool new features like Beat Board, Story Map, and real-time collaboration to make up for the last ho-hum update, but there’s still no support for gestures or true single window full-screen mode.